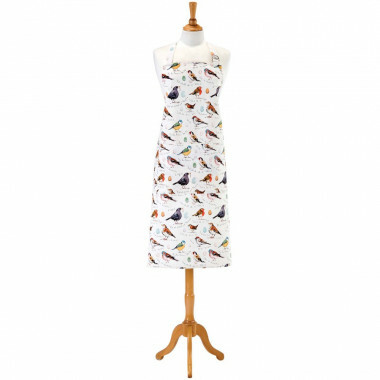 Pure cotton printed apron with bird designs. Pick a practical and dressy apron for your day-to-day cooking! 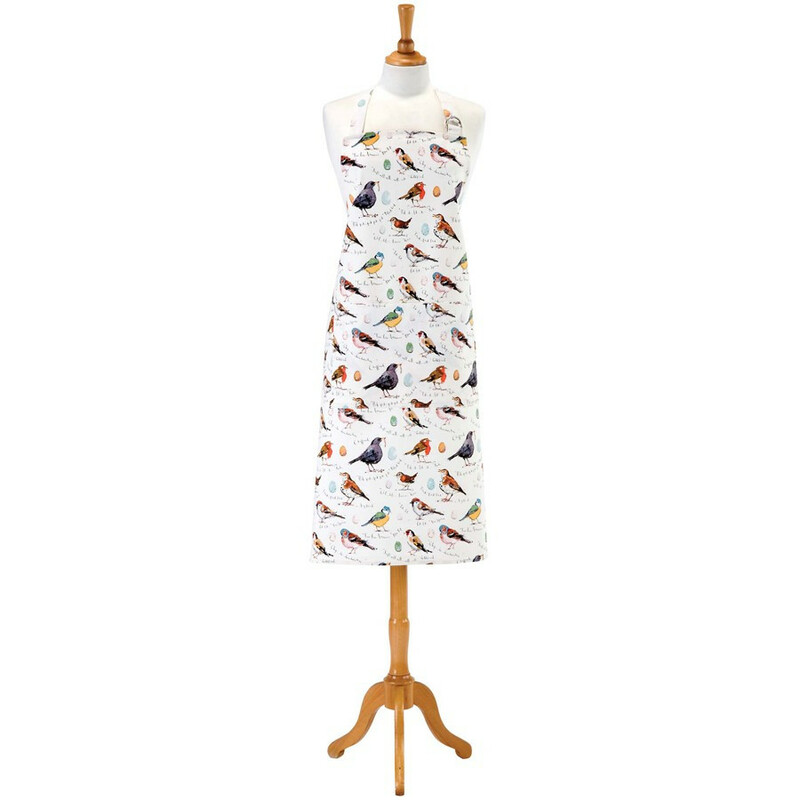 This pure cotton apron will join you in your culinary adventures: the lovely bird designs will catch everyone eye around the kitchen! 100% pure cotton. Machine washable. Front pocket.